The Southwest Monsoon has further withdrawn from remaining parts of Rajasthan, entire Jammu & Kashmir, Punjab, Haryana, Chandigarh & Delhi, Himachal Pradesh, Uttarakhand, West Uttar Pradesh, some parts of East Uttar Pradesh, West & East Madhya Pradesh and some more parts of Gujarat state & North Arabian Sea. 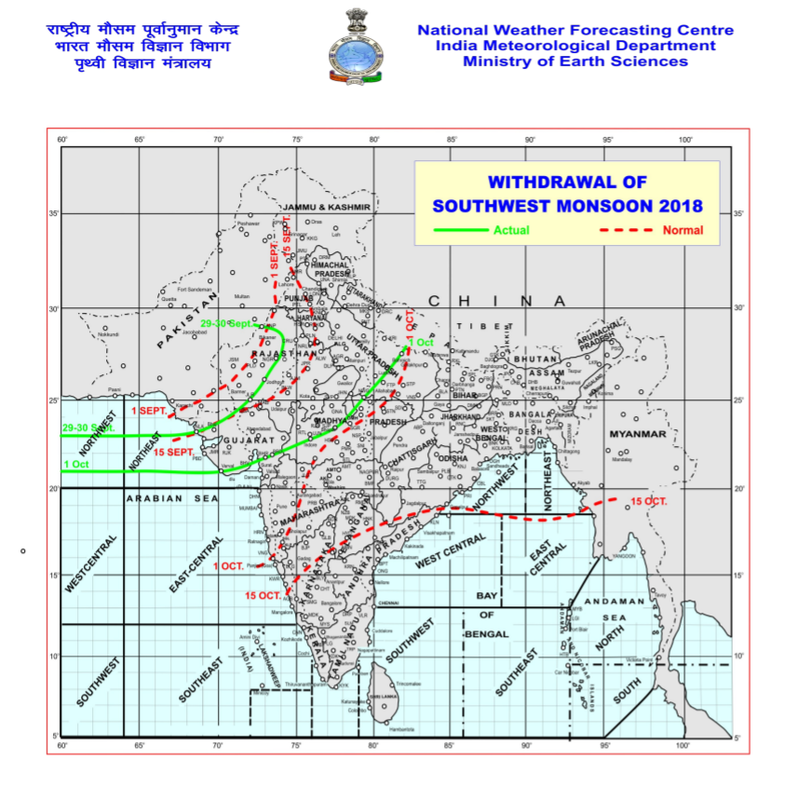 The withdrawal line of Southwest Monsoon now passes through Bahraich, Nowgong, Bhopal, Indore, Bharuch, Veraval, lat. 21.0°N/long. 65.0°E and lat. 21.0°N/ long. 60.0°E. Conditions are favorable for further withdrawal of Southwest Monsoon from remaining parts of East Uttar Pradesh, Madhya Pradesh, Gujarat and North Arabian Sea, some parts of Bihar, Jharkhand, Chhattisgarh and Maharashtra during next 2-­3 days. A Low Pressure area is likely to develop over Southeast Arabian sea around 6th October. It is likely to intensify into a Depression and move Northwestwards during subsequent 48 hours. Fishermen are advised not to venture into Southeast & Central Arabian Sea from 07th October, 2018 on wards. Fishermen at deep sea areas of Southeast & Central Arabian Sea are advised to return to coast before 07th October. Ahmedabad Maximum Temperature was 37.4 C and was 2 C above normal. Rajkot Maximum Temperature was 37.9 C and was 2 C above normal. Amreli Maximum Temperature was 37.4 C and was 2 C above normal. Bhuj Maximum Temperature was 40.2 C and was 4 C above normal. There is a likelihood of a development of a Low Pressure over Arabian Sea during this period. The System is expected to strengthen significantly. 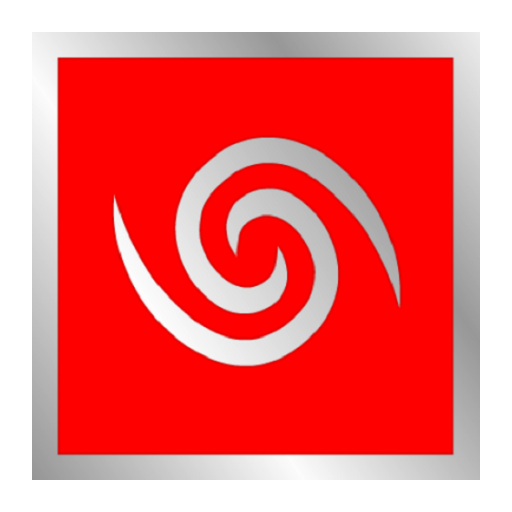 The Forecast track is currently uncertain since it is oscillating on a Daily basis from Gujarat to Pakistan to Oman at at times towards Yemen, depending upon various Forecast Models and Forecast Runs. Updates will be published as and when there is better clarity on the Forecast outcome.